The sequel to the genre-bending, hugely imaginative Death is but a Dream. Former police detective Callie Saunders shouldn’t be alive, but she’s been thriving with her new lease on life away from the machinations of the ancient Greek gods and goddesses. Yet there’s always been someone missing from this little piece of paradise. When a vengeful god kidnaps her son, she travels back to a world she barely understands to find him. A world where she must face humanity’s greatest enemies and her former lover. If she’s not careful, she’ll lose her soul again. And, maybe, even her heart. Pregnant with the future leader of the pack, Kalysia is determined to change the archaic traditions that threaten people she loves before her child is born. Uncovering the truth about the pack could expose her darkest secret and jeopardize her relationship with Dillan. Will she choose to bring down those that conspire against her or will she work with them to spare Dillan’s heart and keep her family together. Nicole was born and raised in California. She claims to be a San Francisco native, however she's lived in both Northern and Southern California. She credits her creativity to the fact that she attended 12 schools between kindergarten and her senior year in high school. Her nomadic childhood allowed her to reinvent herself often. Some might say she was a liar. While others see the stories she told as a coping mechanism. Twelve schools, in six cities, in twelve years - give her a break. Today she channels her storytelling ability into writing novels. Long story short - kids that lie become writers. Arcana means secrets, and these Arcana Chronicles short stories from #1 New York Times bestselling author Kresley Cole are filled with them. Experience firsthand the beginning of the end and behold the apocalypse through the eyes of characters you only thought you knew. Ashes to ashes . . .
Evie Greene’s story of the Flash is just one of many. All over the world, those connected in some way to the lethal Arcana game—like Death, Jack, and Fortune—must first survive a horrifying night of blood and screams. Some will have to grapple with new powers; all will be damned to a hellish new existence of plague, brutality, desolation, and cannibalism. 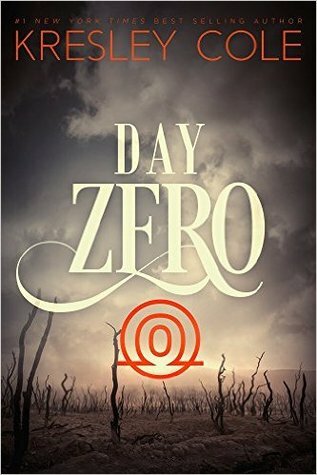 Find out who they lost, why they endure, and what they sacrificed in order to live past Day Zero. . . . The first thing to note is that this isn't really a book. This is a look into the notes and stories of the characters we've met so far - with some redactions to keep from giving too much away. Although, The Fool's section had me grinding my teeth! I need to know more about this kid! I enjoyed seeing how the other cards prepared and survived Day Zero, stories that were 2 or 3 pages and gave a bit of background that helped me understand where they came from a little bit more. A good addition with some fun facts, but don't go in thinking this is a novella or short story. And the fallout continues! Dakota had no idea the trouble she'd bring down on the entire town with her not so little revelation. 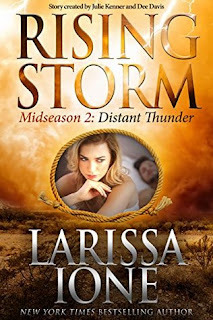 The Rush matriarch, Marylee, continues to try and make Dakota's life a living hell while at the same time trying to "cover up" and "explain" why the Senator slept with girls the same age as his daughter - one of those girls was even his daughter's best friend. The Senator's family is still reeling, and the kids are forced to realize their parent's marriage wasn't quite what they had thought all these years. His wife, Payton, seems to be moving in a direction that is a bit unexpected, but I'll have to wait and see if anything plays out with that. Another wrap-up, bridge type of episode. Setting the stage for season two and getting all the players in place for something big to happen. Midseason one picks up the aftermath of Dakota's big Founders Day revelations. Lives were torn apart, notably the Rush kids and Ginny Moreno. Ginny's lie of omission (sort of) has the entire town turned against her. But, this might be a good thing for Ginny's maturity levels. She turns around quite a corner and does what needs to be done - even though it had to be incredibly hard. Some of her apologies go well - so not so well. But none of them seem to repair the rift between her and Logan. Dakota, on the other hand, continues to think that everything revolves around her. As the Rushes rally their forces against her, her life takes a turn for the worse and she blames the results of her actions on everyone but herself. I nice pick up, but I felt that things stalled just a tad. But you can see more clouds on the horizon, and you never know what's going to happen next. As Hannah Grossman grapples with the very real possibility that she is dating one Johnson brother while secretly in love with another, the entire town prepares for Founders Day. The building tempest threatens not just Hannah’s relationship with Tucker and Tate, but everyone in Storm as dire revelations threaten to tear the town apart. Thunder Rolls is the season one finale for Rising Storm, and it does what any good season finale does. It goes out with a bang and leaves you wanting more. Everyone's storyline seems to converge at the Founders Day celebration. the Senator is set to give a big speech, a betrayed brother will go off the deep end, and some really big secrets are exposed in a very public way. And as one secret is revealed, it unravels several more. Relationships are forever altered and nothing will be the same. I think this was a fantastic way to wrap up the season. Much of the drama is wrapped up in a way, but where one drama-door closes, two more open. And who knows what will happen next in Storm. Young Adult Dark Fantasy Writer, Myths and Legends Believer, Voracious Reader, Music Snob, World Builder, Poet, Quote Junkie. My thoughts on Writing, Social Media, Reading, Books, Publishing, and Music. Generally. Author of The Fire Born Novels TIED, TORN & TRUE Author of The Primordial Principles CRYSTALLUM 2015, DAEMONEUM 2016 Author of The CrossWorld Chronicles CROSSROADS (2016) Pub'd by J. Taylor Publishing, Jagged Lane Books, and formerly by Booktrope Editions Publishing. Seventeen-year-old Bryar Rose has a problem. She’s descended from one of the three magical races—shifters, fairies, or witches. That makes her one of the Magicorum, and Magicorum always follow a fairy tale life template. In Bryar’s case, that template should be Sleeping Beauty. “Should” being the key word. Trouble is, Bryar is nowhere near the sleeping beauty life template. Not even close. She doesn’t like birds or woodland creatures. She can’t sing. And she certainly can’t stand Prince Philpot, the so-called “His Highness of Hedge Funds” that her aunties want her to marry. Even worse, Bryar’s having recurring dreams of a bad boy hottie and is obsessed with finding papyri from ancient Egypt. What’s up with that? All Bryar wants is to attend a regular high school with normal humans and forget all about shifters, fairies, witches, and the curse that Colonel Mallory the Magnificent placed on her. And she might be able to do just that–if only she can just keep her head down until her eighteenth birthday when the spell that’s ruined her life goes buh-bye. 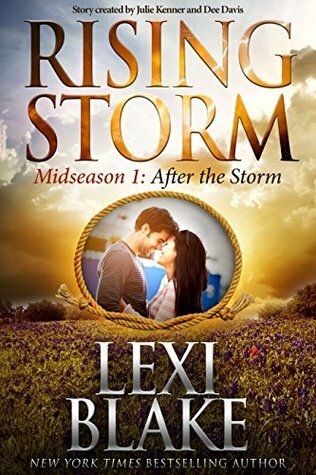 But that plan gets turned upside down when Bryar Rose meets Knox, the bad boy who’s literally from her dreams. Knox is a powerful werewolf, and his presence in her life changes everything, and not just because he makes her knees turn into Jell-O. If Bryar can’t figure out who—or what—she really is, it might cost both her and Knox their lives… as well as jeopardize the very nature of magic itself. Christina graduated from Syracuse University's Newhouse School with BA's in English as well as Television, Radio, and Film Production. Her day job is in marketing for companies like Microsoft, Cisco, and Zerto. Back in the go-go 90′s, she founded her own software start-up, Mindful Technologies. Christina believes that, upon close examination of Tolkien's text, it's entirely possible that the Balrog was wearing fuzzy bunny slippers. With more and more Red Helixes turning up missing or dead, the Shadow Ravens are ready to take their fight to Doctor Nagi himself. But breaking into Alpha Citadel is no cakewalk, and Quanta isn’t so sure about this whole “teamwork” thing. If she and the Ravens can’t learn to work together, no amount of rewinding time will save them from the inevitable. And if the Seligo win, everyone loses. Lola Dodge is a compulsive traveler, baker, and procrastinator. She earned her BA in English from Stonehill College and MFA in Writing Popular Fiction from Seton Hill University—and hasn’t stopped moving since. When she’s not on the road, Lola spends her time indoors where the sunlight can’t melt her, writing or bingeing on anime and cherry soda. She can be summoned in a ritual involving curry, Hello Kitty idols, and a solid chocolate pentagram. When fingers start pointing at her, she knows she’s in more trouble than she originally thought. Because Cara can see that something isn’t right. As her carefully constructed life begins to crumble, Cara isn’t sure who she is anymore. Katlyn Duncan was born and raised in a small town in western Massachusetts. Her overactive imagination involved invisible friends, wanting to be a Disney Princess and making up her own stories. Her bibliophile mom always encouraged her love of reading and that stayed with her ever since. Even though she works full time in the medical field Katlyn has always made time for books, whether she is reading or writing them. Katlyn now lives in southern Connecticut with her husband and adorable Wheaten Terrier and she is thrilled to finally share her stories with the world.